Get Healthy Camden adopted the American Heart Association’s (AHA) Workplace Wellness Program, a science-based, evidence-informed tool to maximize an effective workplace culture of health. The program includes a Health Achievement Index that encourages local organizations to sign up and pledge to make changes within their organizations. 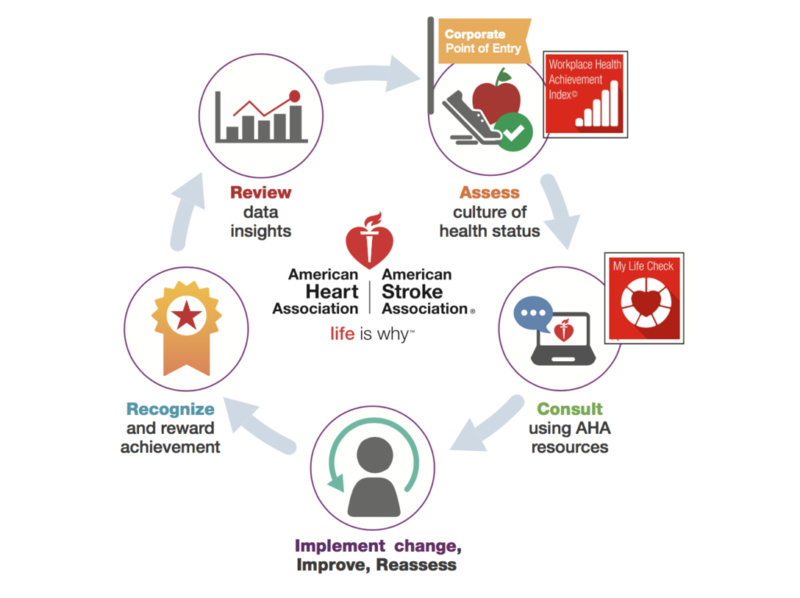 Participating organizations are eligible for annual recognition and awards from the AHA. Learn more and sign-up at Workplace Health Solutions.